MK Moti Yogev slams police action against synagogue loudspeaker during the day while muezzin is allowed to blare at night. Following the Arutz Sheva report on the police officers who were called to the Yeshuat Yisrael Synagogue over the playing of Shabbat songs, MK Moti Yogev (the Jewish Home) appealed to Internal Security Minister Gilad Erdan on Sunday to protest the selective enforcement against Jews while the loud sounds of the muezzin continues to be heard against the law, even at night. 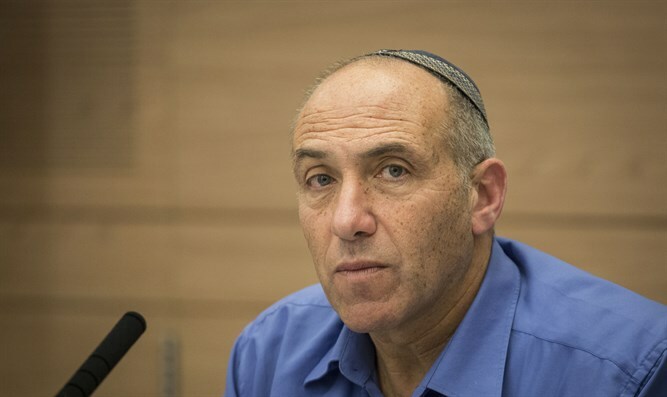 In a letter sent to the minister and police commissioner Roni Alsheich, Yogev wrote that "for over two years I have been trying to promote an amendment to the Injury Prevention Law that will ban loudspeakers on nighttime only between 23:00 and 07:00. For reasons that are not clear to me, the law is not being promoted beyond a preliminary reading and enforcement is not being carried out at all." In a letter to Prime Minister Benjamin Netanyahu, Justice Minister Ayelet Shaked and Attorney General Avihai Mandelblit, Yogev mentioned a discussion that took place in the Knesset Constitution, Law and Justice Committee, in which it was claimed that this area has not been enforced and has been in "dialogue" for years. "The police's incompetence on this issue is outrageous," Yogev said. Yogev wrote: "I was surprised to hear how a policeman comes to enforce the banning of a song from the loudspeakers of a synagogue in the middle of the day, and there is no enforcement against the proclamations of the muezzin, which harms the sleep of thousands during the early hours of the morning." "I ask the honorable minister and the commissioner to handle the selective enforcement and at least to enforce the rest hours at night, as the law requires," Yogev wrotes. "If this issue is not enforced accordingly, I will use all the tools at my disposal to force the Israel Police to enforce this law at night."